← Thank you Day Away Volunteers! The Minot-Sleeper Library 35, Pleasant St., in Bristol and The Day Away Program welcome you to join Rev Mary Francis Drake on Saturday June 11, from 10:00 am to 12:00 pm as we view and discuss the Frontline presentation of Atul Gawande’s “Being Mortal”. This book and video have caused a ripple in the medical community due to Dr Gawande’s frank and probing questions about the state of aging and dying in America. In addition to leading a discussion of the video and book; Rev Mary Francis will speak about the living choices and dying wishes that each of us need to be considering, whether we are young or old, healthy or ill. From advance directives to POLST and DNR forms, these conversations are best held early and often so that each of us has the opportunity to choose for ourselves whether that be allowing a natural death or seeking life support (POLST-Physician’s Orders for Life-Sustaining Treatment; DNR – Do Not Resuscitate). The event is free and light refreshments will be served. Please contact Rebecca Herr at 744- 5626 or hatsherr@aol.com if you are interested in attending. The Library currently has limited copies of the book and program guides available for anyone who may choose to read it before the event. You can also contact them directly for more information at 744-3352. 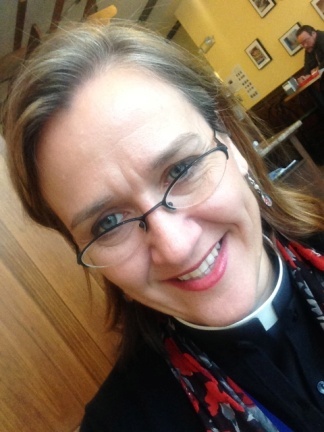 Rev Mary Francis Drake, MA, MSW, is a hospice chaplain, social worker and manager with Pemi-Baker Community Health. She is currently the Vice President of the Board of Directors for the NH Hospice and Palliative Care Organization.